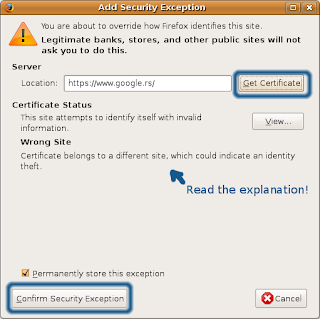 My life journey: Firefox: "Secure connection Failed"
There's an easy way to resolve this, if you click on "Or you can add an exception" → "Add exception" → "Get certificate" → Read the reason it was invalid and if you're OK with the reason → "Confirm security exception". My tolerance for these obstacles is about one-click. 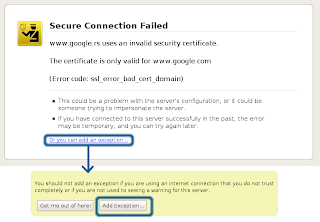 Having to do these three or four extra clicks every time you encounter a self-signed certificate on the web is absurd.